The new tool by GoCompare allows you to compare two different cities showing you the best option. Manchester rated as the best place to rent out a house with an average yield of 5.55%. London is surprisingly in second position with the highest rates in all fields except average yield. 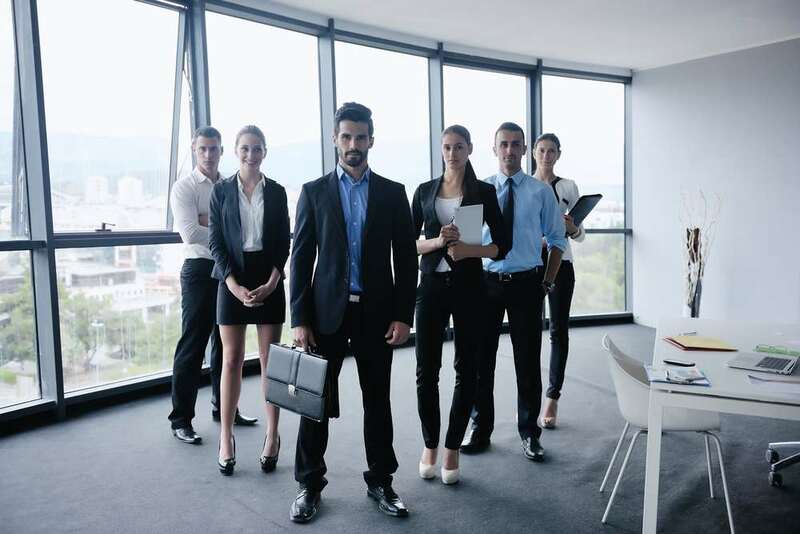 The UK’s property sector is a state of evolution with Millenials who are known for their need of freedom and limited desire to own financial assets such as homes, are dominating the renting market. It’s clear that younger generations are more open to renting a house than buying. Even older members of the population are going for this option rather than buying a property. GoCompare has researched the best areas for renting out a house and ranked them by average property price and rental yields, population under 35, number of properties available, number of letting/maintenance agencies, number of new housing developments, properties currently available for rent and rental price growth. Stoke-on-Trent is in least expensive area to buy property with an average property price of £106k, making it the city the best place to buy a property and rent it afterwards. Landlords in this area will have the best potential to make good profits. Oxford is one of the most expensive cities to buy a property with a price of £411k. Even though the city has one of the highest property prices, it might be good to consider renting out your property. The city is known for its university and the huge amount of students moving there looking for a place to leave while they start their university life is quite significant. 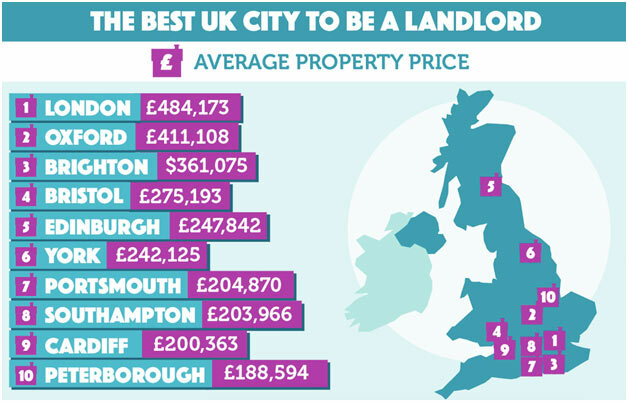 London is in first position with the highest price rent, at an average of £484k. The gentrification of areas and the facilities people have to move, plus the growing offer of jobs in the capital have made of London the most expensive city to buy a house, therefore renting out is it an option that needs to be consider really carefully. If you are considering renting out your house, another key aspect you need to consider is how fast the local rental price is growing, so you can predict how much you will be able to raise the rent of your house in the next few years. Manchester takes the leading position on the ranking with a growth of a 5.76%. If you have doubts about putting your house in the property sector, this high growth rate might go some way towards assuaging those fears. The second position on the ranking with 5.30% growth is Leicester, a worthwhile location for a would-be letter. Cardiff can be found in the third position with a growth of 5%., becoming one of the top cities in the whole country, where taking advantage of buy-to-let can offer you the best returns. The average yield of a property determines the profit you will obtain for renting it out – and its rise or fall will establish how much of a return the owner gets. Manchester holds the top position. The average yield there is 5.55%, putting the city in a great position for property owners. 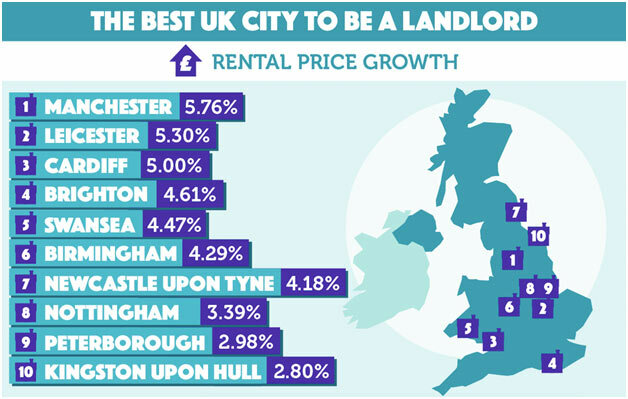 Sunderland takes the second position for yield with 5.37% – its best quality in terms of renting opportunities. Liverpool is a hotspot for owners, occupying the third place with an average yield of 5.05%, and fourth position overall. If you want to know more about the best areas for renting and their conditions, how the different cities have been rated, and even compare different cities you can find the rest of the piece here.